As we’ve discussed before, Pinterest can be an excellent platform for you to market your Misi Store and your beautiful creations in a unique way. However, sometimes, developing a good Pinterest strategy can be tough. To help on your endeavor, we’ve compiled a comprehensive list of 10 “Do’s” and “Don’ts” for your Pinterest marketing strategy. Make 5 boards for things your audience loves. Make 5 boards for things your audience has a hard time finding. Make 2 boards centered on your company. Add a few pins to each board, and voila! You now have a bouncing baby Pinterest account. 2. DO have awesome cover photos. Your boards’ cover photos are the first thing a user sees when they land on your page so you better make sure they’re pretty. I mean, you wouldn’t have an ugly landing page on your website, would you? 3. DON’T have boring images. Part of the beauty of Pinterest’s design is that it’s almost entirely a visual experience. When creating pinnable images for your site, don’t be afraid of color, unique fonts and beautiful design. The more eye-catching the pin, the more repins it will receive. 4. DON’T only pin your own content. This is huge. DO NOT ONLY PIN YOUR OWN CONTENT. Pinterest users do not want blatant advertisements all over their Pinterest feed. So, rather than only pinning your content, pin articles related to your sector, interesting images, funny memes and mix in your products and articles. 5. DO spy on your competitors. 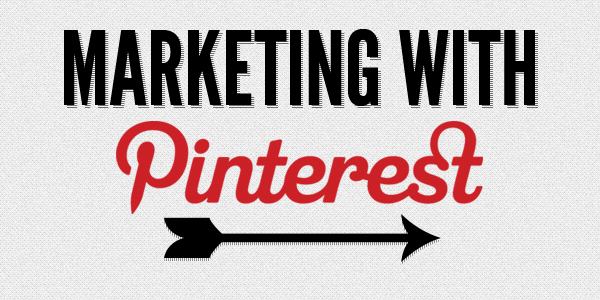 If your competitors have a Pinterest account, go ahead and spy! Find out what they’re doing particularly well – or particularly horrible – and learn from their actions. 6. DON’T be hard to find. It’s a good idea to keep your profile specific to your company, so anyone searching for you on Pinterest will know, at a glance, that is in fact the right profile. One great way to insure this is to have your profile verified by Pinterest. 7. DO engage influencers. Chances are you don’t have a million Pinterest followers, yet. But that doesn’t mean you don’t have fans that do! You can find and engage your most influential fans from our Fans & Influencers page. By building those relationships, you can always have a heavy hitter on your side. 8. DO use a secret board to save content for the future. When you’re on the prowl for great images to repin, don’t worry about getting your timing wrong. Just create a secret board, pin the image to that board and include the original pin’s URL in the caption so you can go back and repin it publicly later. 9. DON’T forget the “Office” board. Although users might not repin these images very often, it’s a good idea to have fun pictures from around your office. Even Pinterest has an office board! These boards help humanize your brand to fans, thereby helping to foster a deeper connection. You can even link to the board in the “About Us” portion of your website to have an easily updated place that showcases your company culture. 10. DO check for SEO value. Believe it or not, your Pinterest page can give you a serious SEO boost. Our ultimate Pinterest SEO guide can help ensure you’re getting the biggest bang-for-your-SEO-buck.